Thank you so much for visiting my blog today, I am really excited to be taking part in the Project Share. This has been going a while and I was recently invited to join. This is similar to the 'Jill & Gez go crafting' post I do every other Monday. The Project Share is a group of demos, all Pootlers and we choose a project from the past week of 3 members and showcase them. There will be a link included with each project so you can go and check them out. Everyone is so talented I am sure you will enjoy taking a look at their blogs. The first project I have chosen is by the lovely Helzie Slimm of Slimm & Stylish. Helzie comes up with some really genius ideas and this is the perfect example of that. Here Helzie has turned the skating snowman into an ice hockey player. She has used the the straw and bottle top from Bubble over for the hockey stick and puck ... pure genius I think. 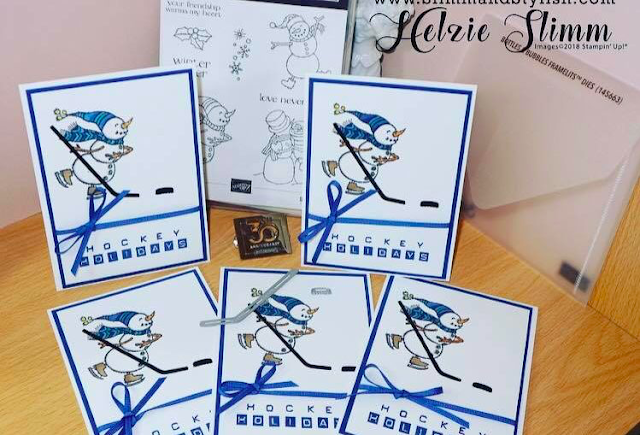 I also love the use of hockey for happy - love a bit of play on words lol! This next project is from Verity of Inkybutterfly. Verity always makes cards I love and this one is just beautiful. 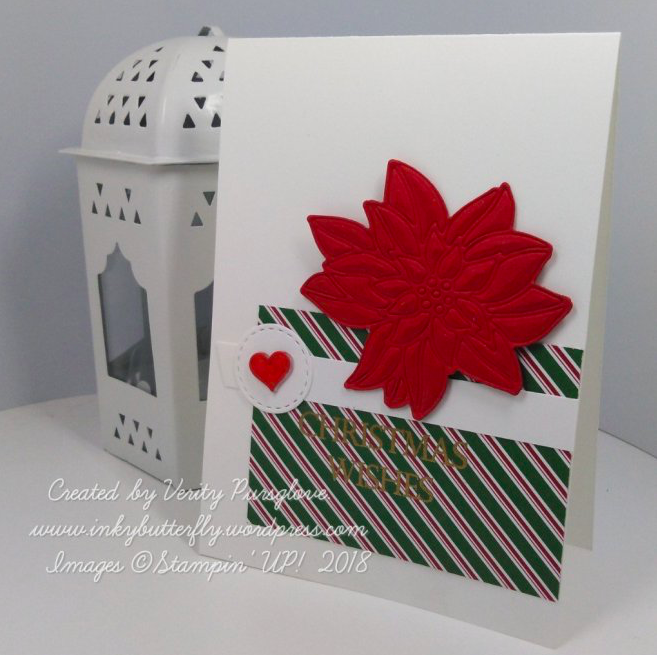 In this card Verity has used the lovely dashing along DSP and the Detailed Poinsettia dies. But what makes this stand out is the fact the the poinsettia has been embossed as well as die cut. I absolutely love this. The final project is from Heather of Stamp with Nellie. Heather makes some really lovely creations and this one really caught my eye. 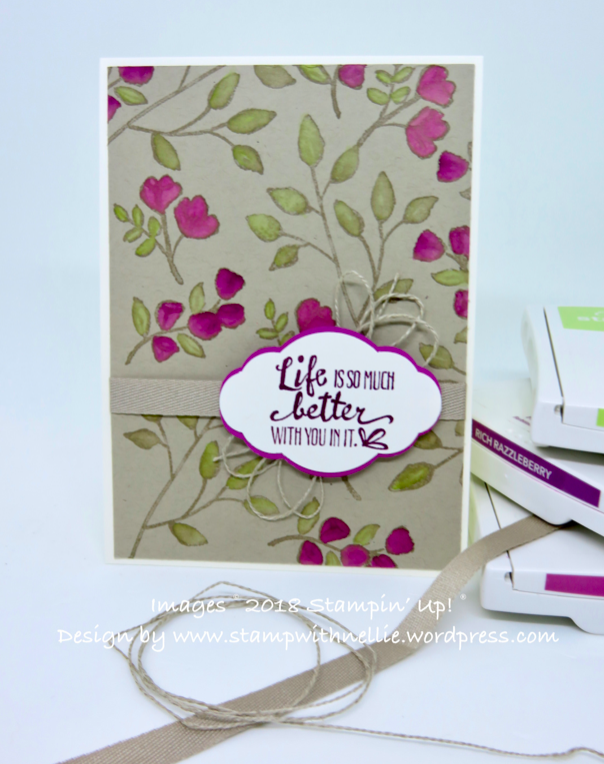 When I first saw this card I thought she had used the lovely Share What You Love DSP but on closer inspection I could see she had hand stamped the background using Petal Palette. I love it.